Have you ever felt cheated from the diet books and magazines that offer you false hope of losing weight easily, quickly and permanently? Don’t worry you are not alone. Research indicates that dieting can hurt your psychological health and wellbeing. Learn to recognise your biological hunger signals and feed it with adequate energy. By learning to honour your hunger, you can start to rebuild your trust with yourself and food. Are you ready to stop the food fight and give yourself unconditional permission to eat? When you tell yourself you cannot have or should not have a food, it can lead to feelings of deprivation and food cravings. Have you recognised the voice inside your head that labels you as “good” for eating a salad for lunch and “bad” for eating dessert? This is the voice of the food police and it monitors the unreasonable rules that dieting has created. Listen to your body signals when they let you know you are no longer hungry. One way of doing this is through the hunger-fullness scale. Have you ever felt physically full but not satisfied? It can happen and if you are not satisfied from eating, you may continue to keep eating and eat up overeating, which is why it is important to discover the satisfaction factor. Even though emotional eating is common, it is important to find ways to nurture, comfort and attend to your emotions without using food. In the short-term, it may appear that food can help appease emotions, however in the end food will make you feel worse in the long run and doesn’t resolve challenges. It is important to respect and accept your body. Respecting your body means accepting your genetic blueprint and your current body shape. When you do this, you can feel better about who you are. Instead of thinking about the exercise you think you “should” be doing, focus on what types of movement feel good to you. Forget about the calorie burning effect of exercise or how it can assist in weigh loss, focus on how it feels after you have moved your body. When choosing to eat, make food choices that honour your health and taste buds. Aim for progress, not perfection and remember, it is what you eat consistently that is important. increase self-compassion and psychological wellbeing. What is the Difference Between Intuitive Eating and Mindful Eating? “it also encompasses a broader philosophy, addressing the issues of cognitive distortions and emotional eating. It includes seeing satisfaction as a focal point in eating, physical activity/movement for the sake of feeling good, rejecting the dieting mentality, using nutrition information without judgement, and respecting your body, regarding of how you feel about its shape.” (p.232). For people who are struggling with eating challenges, both mindful eating and intuitive eating can help facilitate normal eating. I hope this post has given you some insight in to what is intuitive eating and some of the research behind it. If you have any questions, please feel free to write them below. Tribole, E., & Resch, E. (2012). Intuitive Eating – A Revolutionary Program that Works. New York, USA: St. Martin’s Griffin. 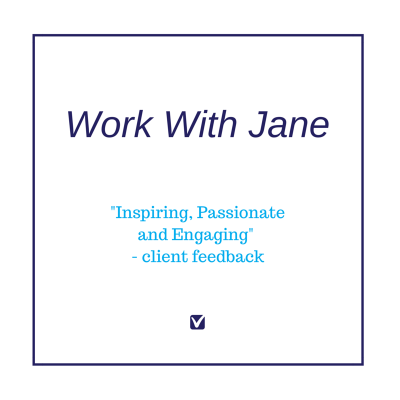 Ready to Reconnect with Your Courage and Create a Career & Life YOU Love? Subscribe to receive exclusive content, special offers, ideas & inspiration on discovering your courage and latest news from Habits for Wellbeing. Your information is 100% secure with us and will never be shared!